In 2018, Peter Café Sport will celebrate its centenary, and to mark this occasion the Ocean Cruising Club is proposing to hold a Pursuit Rally to Horta. Since 1977 the Club has held frequent rallies and Pursuit Races to the Azores and the 2018 event will be similar in nature to those of the 1980s and 1990s except that this one will be a rally and not a race. From the founding of the Club in 1954 OCC members crossing the North Atlantic have been calling at Horta in the Azores. In the very early days, Humphrey Barton and other founder members formed a close relationship with “Peter” Azevedo, son of the original owner and the proprietor of Peter Café Sport on the waterfront. 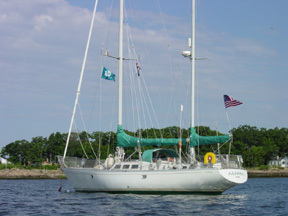 Peter Café Sport became the Club’s unofficial clubhouse in the mid-Atlantic, as well as “the place to call” for all transatlantic sailors. Peter Azevedo became OCC Port Officer in Horta and on his death was succeeded by his son José Henrique Azevedo. Participants may start from anywhere, a minimum of 500 miles away, at any time, but the aim is to cross the finishing line as close as possible to 12 noon on 18 June 2018. This will be a light-hearted and fun event, but a major one in the 2018 OCC calendar with many land based activities scheduled for the following six days, culminating in a formal dinner and prize-giving. Provision has been made for limited participation by members of other cruising clubs. Due to limited availability of space in the Horta marina, registration will be closed as soon as the maximum number of participants is reached. 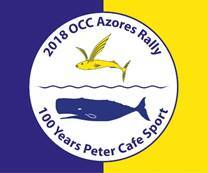 A rally description is available from the organisers by email at: AzoresRally2018@oceancruisingclub.org. Participants will be required to register, and a registration form will be available from the rally organisers, by mid-June 2017. A small rally fee will be charged.